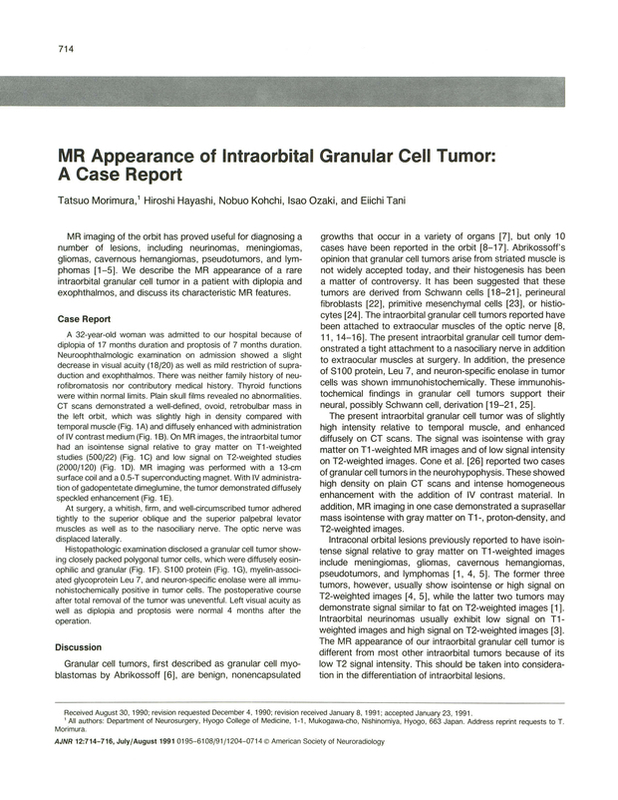 MR appearance of intraorbital granular cell tumor: a case report. Department of Neurosurgery, Hyogo College of Medicine, Japan. You are going to email the following MR appearance of intraorbital granular cell tumor: a case report.